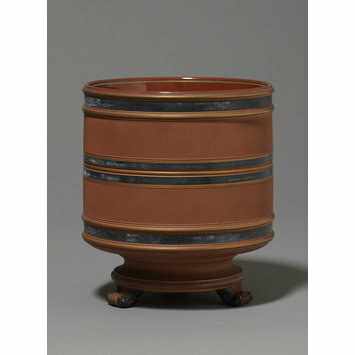 Flower pot of unglazed red earthenware painted with black enamel and gilded. Cylindrical in shape with a contracted base supported on three small feet. Decorated with two vertically reeded bands between bands and lines of black and gold. 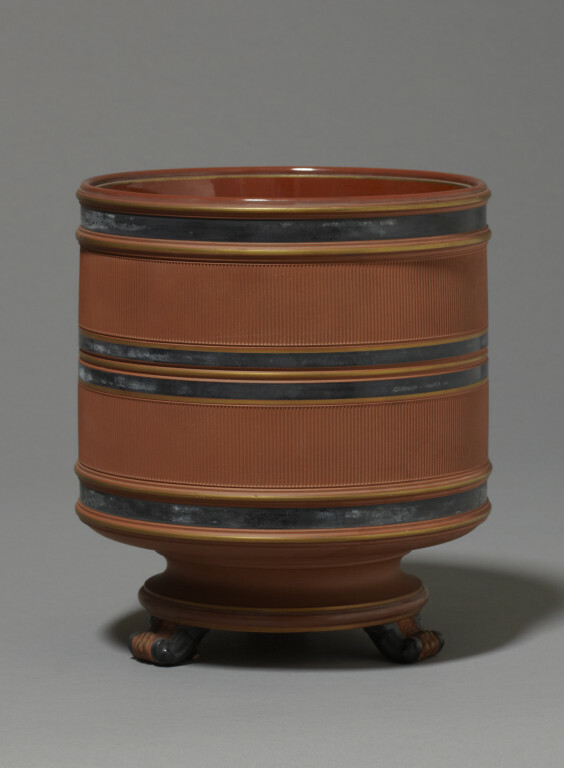 Flower pot of unglazed red earthenware painted with black enamel and gilded, made by Watcombe Terra-Cotta Co., Torquay, 1869-1876.